Our knowledgeable, experienced and fully qualified team can provide the installation, maintenance and supply of a wide range of catering equipment for use in commercial kitchens, as well as professional kitchen equipment repairs. Services available in Oxfordshire and surrounding areas, including: • Oxford • Abingdon • Reading • High Wycombe • Aylesbury. We offer next day deliveries for supply and installation, as well as a 24-hour repair service. 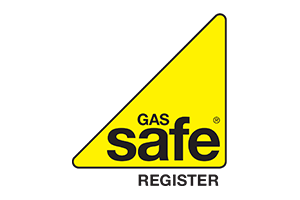 Our knowledgeable experts are fully up-to-date with current gas supply regulations. With our team, you can be certain of being in safe hands. All work and restaurant kitchen installations carried out for commercial kitchens in Oxfordshire comply with regulations for commercial kitchens in Britain. With an extensive range of catering equipment in Oxfordshire, we can provide your business with high quality items for smoothly run commercial kitchens. If you’re looking for equipment for a pub, restaurant, hotel or any other venue with a commercial kitchen, then call today for our installation and fitting service.